One of the coldest arctic air mass intrusions in recent memory is surging south into the Upper Midwest before spreading across much of the eastern two-thirds of the country. Extremely cold air comes every winter in at least part of the country and affect millions of people across the United States. The arctic air, Share your Storytogether with brisk winds, can lead to dangerously cold wind chill values. People exposed to extreme cold are susceptible to frostbite in a matter of minutes. Areas most prone to frostbite are uncovered skin and the extremities, such as hands and feet. Hypothermia is another threat during extreme cold. Hypothermia occurs when the body loses heat faster than it can produce. Cold weather can also affect crops. In late spring or early fall, cold air outbreaks can damage or kill produce for farmers, as well as residential plants and flowers. A freeze occurs when the temperature drops below 32°F. Freezes and their effects are significant during the growing season. 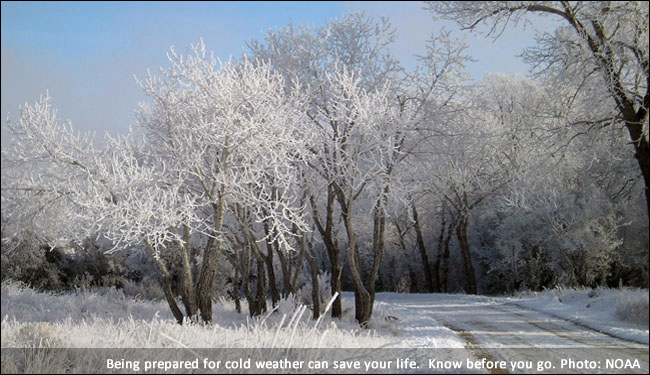 Frost develops on clear, calm nights and can occur when the air temperature is in the mid-30s. Each plant species has a different tolerance to cold temperatures. You may also want to check out our winter safety site for snow and more cold season hazards information. If you or someone you know has been a victim of extreme cold, please share your story so we can prevent others from being a victim. When you write, please note the NWS has permission to use your story and let us know the town and state you were in and when the event took place. Read our real life stories from extreme cold survivors. Through late week, expect frigid temperatures, bitterly cold and life-threatening wind chills, likely leading to widespread record lows and low maximum temperatures from the Upper Midwest to the Great Lakes and Ohio Valley.